Brand: Ack Imaging Tek Pvt. Ltd.
Inkjet Cartridge remanufacturing is being done using virgin (one time used) inkjet cartridges. We use latest inkjet cartridge remanufacturing machineries & cutting edge inkjet cartridge remanufacturing technology. 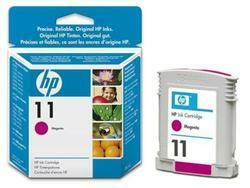 Inkjet cartridge remanufacturing is being done using high quality ink which is equivalent to original.